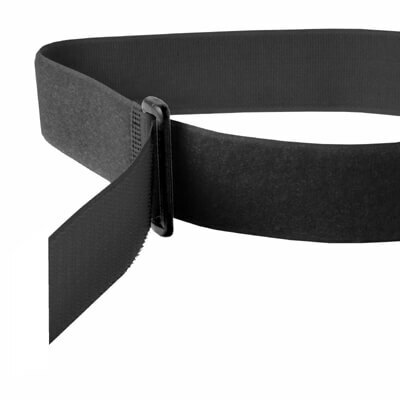 Hook and Loop Fasteners are UK distributors and suppliers of only genuine VELCRO® Brand tapes. 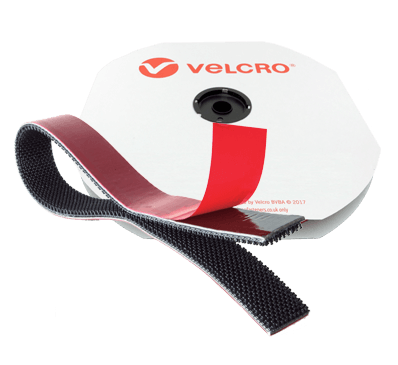 We have an extensive range of VELCRO® Brand products from non-adhesive sew-on to self adhesive tapes in various types, we also stock the ONE WRAP® tape and a complete range of consumer packs. 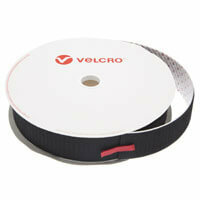 Sew-on VELCRO® Brand tape available in a range of widths and colours on 25 metre trade rolls. Perfect for all fabrics and can be machine washed. 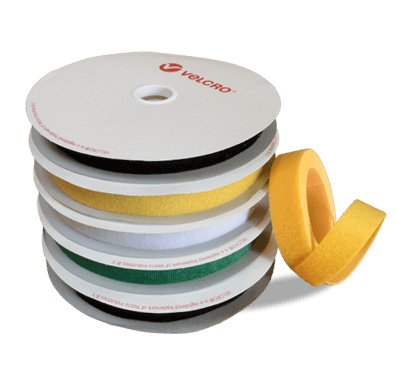 Self adhesive VELCRO® Brand fastener supplied with a rubber resin adhesive pre-applied to the back of the tape and suitable for almost any application. 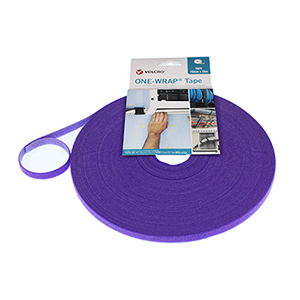 The self adhesive rolls are ideal for the trade and are available in a range of widths and colours. 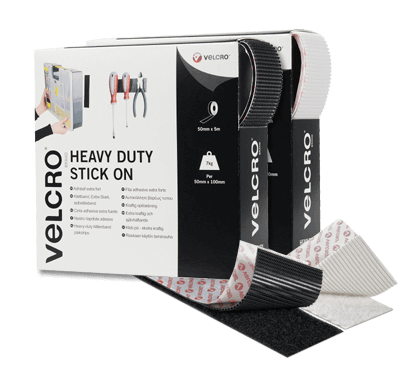 VELCRO® Brand Heavy Duty is just that bit tougher than standard stick-on. These Coins, Strips and Tapes have 50% more holding power thanks to the moulded plastic hook feature, and boast a seriously strong, water-resistant adhesive primed to cope with your most demanding indoor and some outdoor projects too. 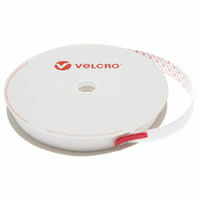 VELCRO® Brand ONE WRAP® back to back strap, ideal for making your own ties or straps. 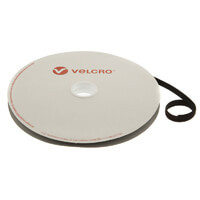 Hundreds of uses around the home and workplace. 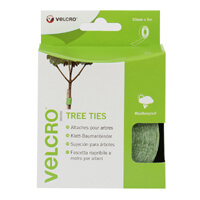 VELCRO® Brand ALFA-LOK™ is a self-engaging tape with interlocking mushroom shaped hooks that provide a strong, reliable and non-directional connection and closure. 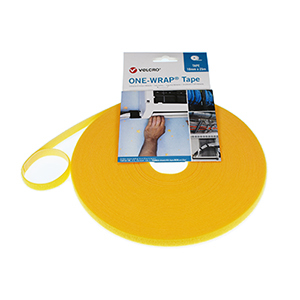 Simply press firmly together without the need for precise alignment or positioning. Self adhesive coins available in 13 and 22mm diameter supplied on 25 metre trade rolls, handy packs of coins and squares in various sizes and quantities. 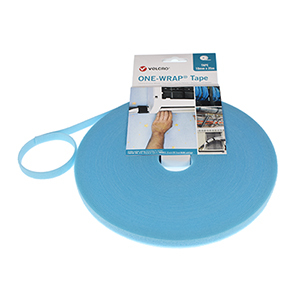 All perfect for any craft and display application. 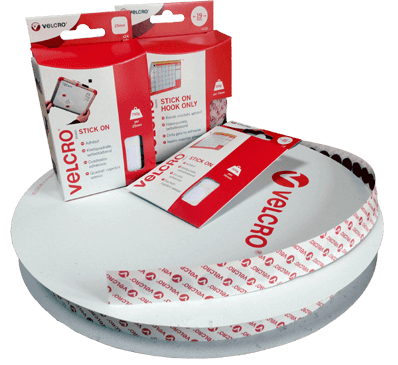 Perfect for those of you who only want a small piece of VELCRO® Brand self adhesive tape, these handy consumer packs come in a range of lengths from 1 to 10 metres, with both the hook and loop side supplied. 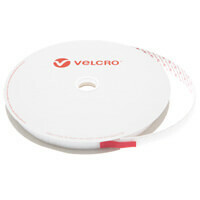 Extensive range of genuine VELCRO® Brand fasteners supplied by an authorised distributor. 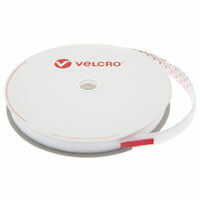 Over 100,000 metres of hook and loop available from stock. 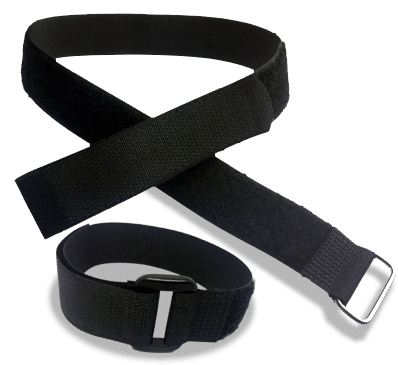 Discounts on quantity purchases within our commercial range. 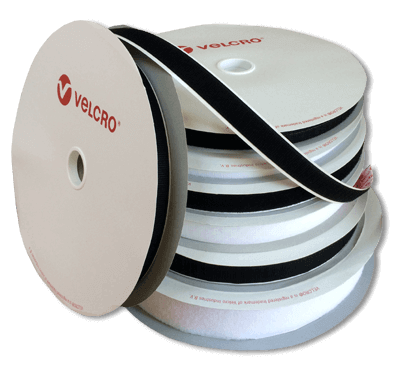 VELCRO® Brand offers only the very best in hook and loop technology, that's why we only stock fasteners from the VELCRO® Brand companies, these brands also include TEXACRO® display tapes and Alfatex®. 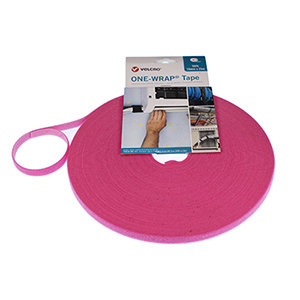 From self adhesive stick-on tape to sew-on and even iron-on, to specialist tapes including ONE WRAP® straps, coins and consumer handy packs. 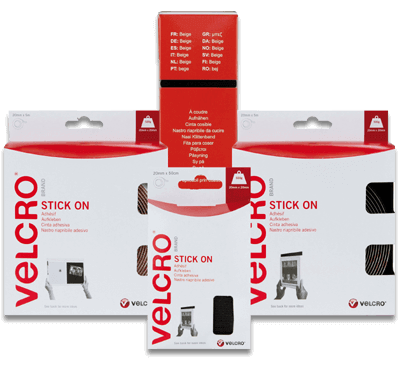 There are many hook and loop products available to you today, however most provide only a close copy to the VELCRO® Brand range, and cannot offer the support or backing that the true VELCRO® Brand product offers.